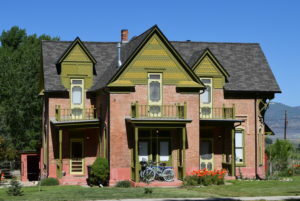 This Victorian home is in the midst of Spring City, a National Historic District with over 50 historic homes. Each of our four charming guest rooms offer a private bath; three include a jetted tub and gas fireplace. 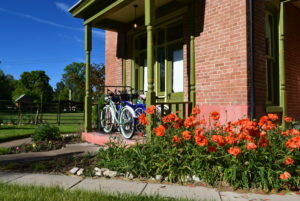 The Osborne Inn is the ideal spot to discover Sanpete Valley’s stunning landscape, on foot or on complimentary bicycles. Whatever your reasons — whether they be historical exploration, adventure, romance, or relaxation — your stay in the Osborne Inn will remind you to slow your pace and savor life. It is our hope that the serenity of Spring City and the warmth of the service found here will make the Osborne Inn your tradition. We appreciate your loyal patronage over the past nearly 15 years. In an effort to improve our visibility and reach more of you, the Osborne Inn has now joined with airbnb to secure your reservations. We have adjusted our prices, and we no longer serve breakfast unless specifically requested. We will continue to maintain our website at Osborneinn.com to provide information on the History of Spring City and our Inn, and on other Area Attractions not available at the other websites.